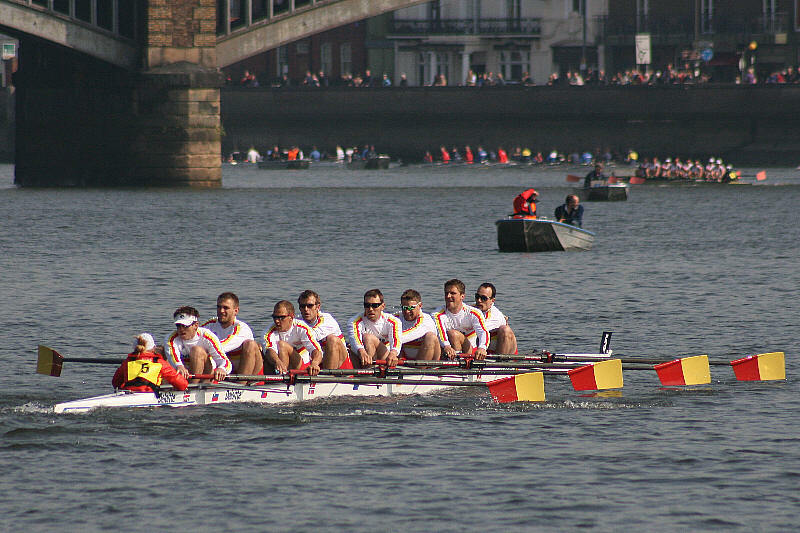 The Head of the River Race is rowed annually in March from Mortlake to Putney on the Tideway in London. 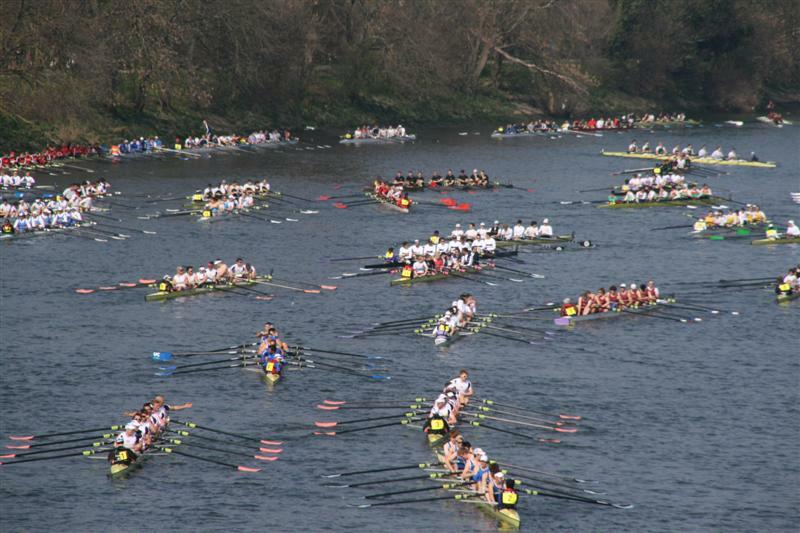 Up to 400 crews of eights take part, making it one of the highest participation events in London. The first race was held in 1926 and 21 crews took part. There was no race in 1937 (there was no suitable tide on a Saturday and no competitive sport took place on Sundays at that time) and none from 1940-45 inclusive, but the race was restarted in 1946 and has taken place annually ever since. The largest non- British contingent is usually from Germany but, over the years, crews have come from Australia, Austria, Belgium, China, Denmark, France, Ireland, Italy, the Netherlands, Portugal, Russia, Spain, Sweden, Switzerland and the USA. As the race is rowed on a falling (ebb) tide, this reduces the space available for marshalling beforehand and when, in 1978, the total entry passed 400 for the first time, the organisers felt obliged for safety reasons to impose an overall limit of 420. If more entries than this are received, a draw has to be held to bring the numbers down to the agreed limit. The race is processional; that is, crews start one behind the other at 10-second intervals, the winner being the crew which returns the fastest time. The previous year’s winner starts first, followed by the other finishers in time order and then by new entries in alphabetical order within their classifications. Some overseas crews which are predicted to be fast are inserted higher up the start order for safety’s sake. The race takes approximately two hours from the time that the first crew starts to the last crew finishing. The average time taken for the course used to be between 19 and 20 minutes but this has gradually decreased and the record is now 16 minutes, 37.00 seconds, set by the Great Britain national crew in 1987. The first overseas winners were the German Olympic gold medallists in 1993; they won again the following year and the Dutch national crew won in 1995. 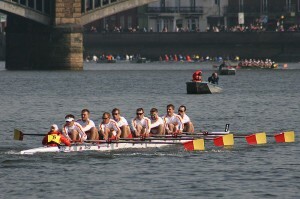 Since then, apart from 1999-2001, when Queens Tower were the winners, Leander Club have generally won, except for 2009 when a crew comprising five of the finalists from the 2008 Olympic Single Sculls with three others of equal standing were brought together by Bill Barry of Tideway Scullers. This crew gave the spectators a real treat and it is a pity that it is unlikely to be repeated. In Steve Fairbairn’s time, the Head crew received individual medals and a pennant for the club, while the crews finishing second and third also received a pennant. 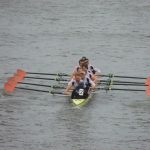 In view of the much larger entry now, pennants were introduced for the various classifications recognised by British Rowing (formerly the Amateur Rowing Association) and there are also prizes for the fastest crews from various geographical areas of the country. It remains the case that only the winning crew receives individual Fairbairn medals and they are consequently highly prized by their recipients, although category winners now receive medals of a different design. 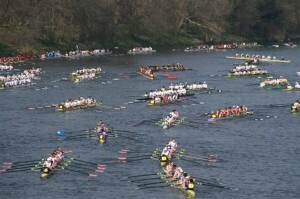 Even though few crews enter in the expectation of winning, the “Head” is the first major national rowing event of the season and most clubs try to enter as many crews as they can raise or obtain places for, its founder viewed the race as both a competitive and social occasion and it remains such to this day. 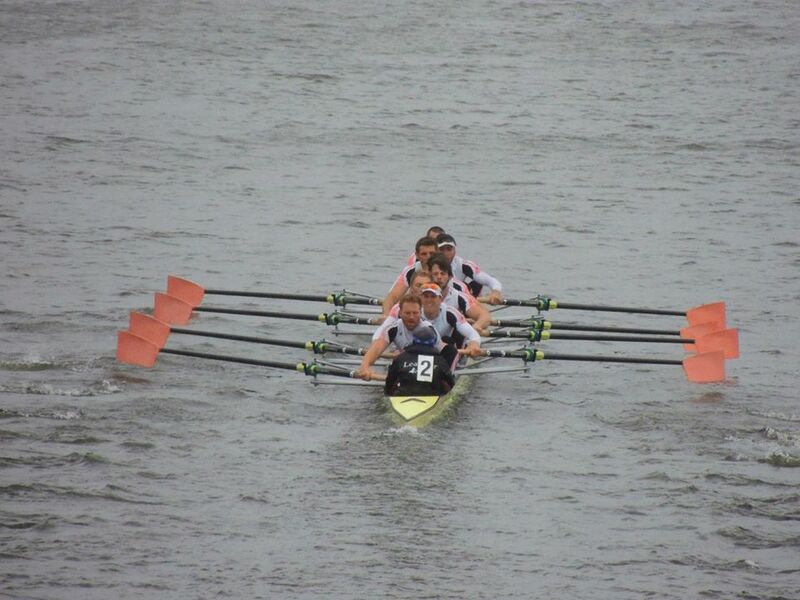 Thank you to Phil Harfield, Roger Hine and Matt Byrne for use of their photography used on the HoRR website.